Commonly referred to as ice pack, chill pack or cool pack, our Ice Peak ice gel packs contain a high quality polymer gel that is non-toxic, food safe, and can absorb a significiant amount of heat, given its high specific heat capacity. 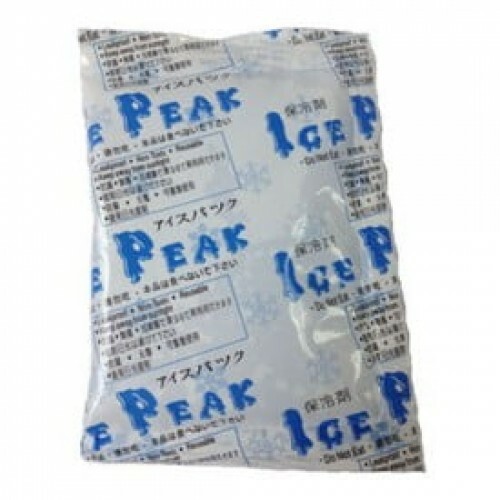 Ice Peak is ideal for for those who are unable to keep their cakes refrigerated or need to lower the ambient temperature during transport. Prefer the cheese cake to this naughty and nice cake. Have ordered cheese cake before. Cake was delivered timely just before 1pm. Love the candles as they are in various colour even when lighted. Cake was very nice as well! Definitely coming back again. Nice flavour. Can express delivery. Save my day. My ma likes it. My favourite is The Modern Duke's Pudding, the texture is kind of firm and I like the Oreo cookies, just the right amount. Jolly Holly exceed my expectation, the true authentic flavour of Horlick and the texture is just so smooth and creamy, it literally melted in your mouth. My parents loved the Apple of My Eye, it's really good value for money though I prefer the apple crumble to be harder.